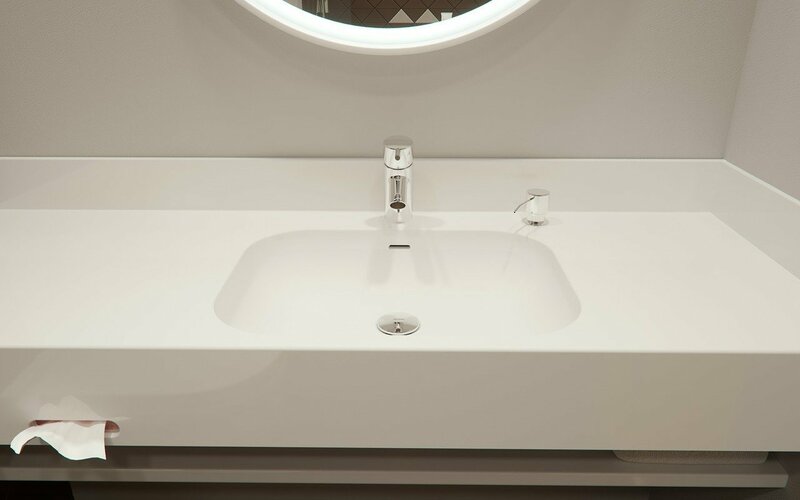 Wall mounted washbasin with customizable width. 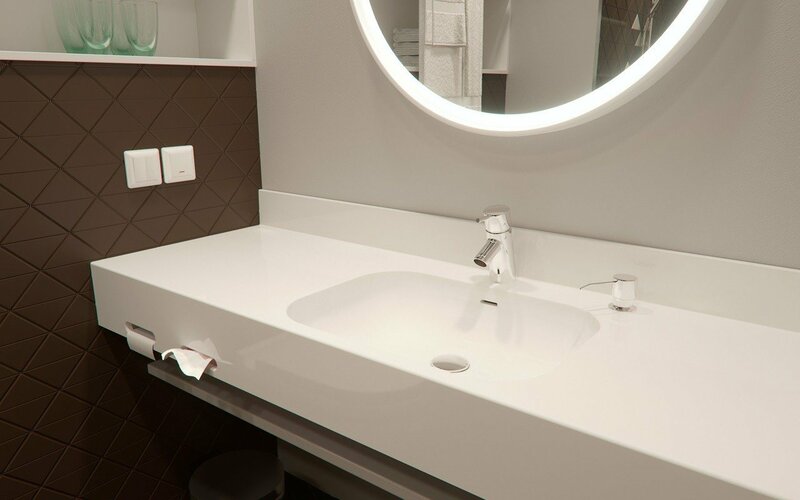 Made of EcoMarmor™ – a glossy gel coated cast marble composite stone. Practical back panel protects the wall from water splashes and simplifies maintenance. 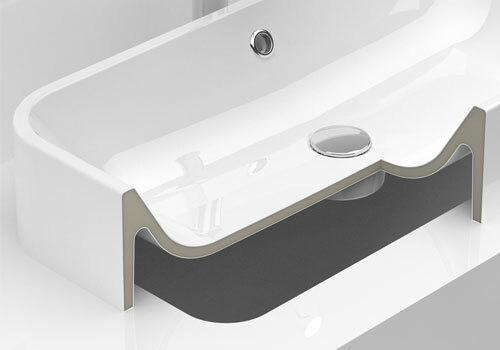 6" (15 cm) front panel conceals the drainage and allows additional openings for integrated functionality.